West Ham fail to impress in what turns out to be an attack versus defence friendly in Iceland. Is the gulf in class between West Ham and Manchester City greater or less than that between ourselves and FC Altona 93? This thought occurred to me while watching the Hammer’s struggle in their final pre-season friendly yesterday. Whereas the German fourth division side had been able to produce a spirited display to make a game of it in Hamburg our attempts to compete against City in Reykjavik were disturbingly feeble in comparison. While I can understand the argument that results do not matter in these friendly matches surely there is some expectation or benefit required from them; or else what is the point? 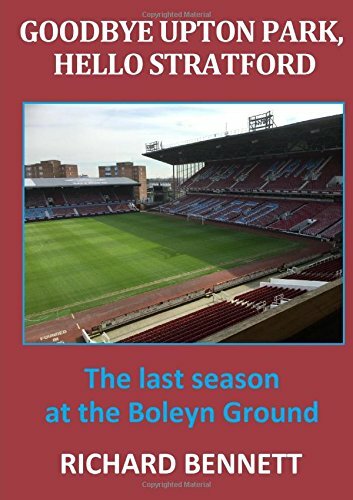 In what turned out to be an exhibition of attack versus defence what did we learn other than confirmation that there is a tower block of next levels between West Ham and the Premier League elite clubs? Was the game an essential step in building fitness? Did we witness tactical experimentation or fine tuning in readiness for next week’s main event? From what I saw I don’t believe so! To me our performance had all the hallmarks of so many of last season’s disappointments. An inability to keep possession for more than two or three passes, minimal movement off the ball, a first instinct to go sideways or backwards, a side that neither attacks nor defends as a unit and players prone to individual errors. I may be paraphrasing manager Slaven Bilic but I got the impression from his comments that were it not for individual errors then everything would have been alright. If nothing else changes I think we are in for a mostly unremarkable season, not necessarily a struggle, but where scraping into the top ten would be a reasonable achievement. There may be an upgrade on personnel in the squad but in terms of the basics of formation, fitness and tactics there continues to be cause for concern. In mitigation the team was without such influential players as Manuel Lanzini, Michail Antonio and Winston Reid and we were up against a side that traditionally has a storming start to the season. There was even a harshly disallowed goal from Andre Ayew and, at the final whistle, we had fared no worse than Real Madrid or Tottenham against the same opposition. If there were positives to be taken it was in the second half performances of Javier Hernandez and Declan Rice. Hernandez gave an enthusiastic display and looks to have energy, pace and mobility. We can only hope that Little Pea doesn’t eventually get a little pee’d off by a lack of service and support from his team-mates. Rice looks a very assured player for one so young but I’m not convinced of the wisdom of using him in midfield; better to see how he would have acquitted himself in his preferred central defensive position. It could be construed as typical Bilic thinking that centre back and defensive midfield are inter-changeable activities. An honourable mention also to Joe Hart, not only for some smart saves but also for not shutting up during the whole game in an attempt to organise the wayward defenders in front of him. It was strange to see two players brought on as 85th minute substitutes in a friendly game but at least wasting a little time may have contributed to keeping the score almost respectable. There was a spirited defence of the Board and the debt position in some quarters during the last week. I do not doubt that the debt exists but the club’s position on it seems to be rather selective depending on what point they are trying make at the time. It reminds me of those unfathomable logic problems with two doors (one leading to certain death and one to freedom) that are protected by two guards; one who can only tell the truth and one who always lies. You are only allowed to ask one question. So, David is it true that you have done a magnificent job in eliminating external debt by replacing it with loans from yourselves while the underlying value of the club appreciates spectacularly? Or is the fact that you have been unable to reduce the debt (which there is no incentive to do in any case) a reason why the club cannot invest more into new players? I’m not particularly a Board basher but there has tended to be a disconnect between words and actions from the Chairmen that has led to a sense of mistrust or disbelief on their ambitions for the club. In a period of extreme revenue growth there is an understandable sense of frustration that our transfer activity, although widely acclaimed (over hyped even), has been relatively modest. Clearly there is more to football club finances than headline grabbing transfer fees but supporters have yet to see a level of investment action that matches the fine words of next level ambitions. Betting on a West Ham Title Win: What Are The Chances? Can West Ham win the Premier League? What are the chances? We take a look at some of the bets being offered by bookmakers for the forthcoming season. Despite our chairman’s belief that anything can happen we all know that the chances of West Ham winning the Premier League are very close to non-existent. Despite being an optimist when it comes to our team, I know that it would take a miracle for us to emulate the feat of Leicester the season before last. That was a one-off 5000-1 unbelievable occurrence that is never likely to be repeated. Bookmakers don’t get a lot wrong, and I’ve been looking through the odds quoted by a couple of dozen leading firms as to who will win the title this season. Despite some small variations there is a great deal of consistency in what is being offered. After Leicester’s unlikely success the quoted odds are not really very realistic for the teams outside the elite six, and the generosity of years gone by has been replaced by some ridiculously short figures, when we all know that there are only six teams that can possibly come out on top. I’m surprised that they don’t try to tempt punters to waste their money with figures of at least 10,000/1 or more, which would reflect the likely chances of the “bottom” 13 or 14 teams winning the league. Manchester City are the clear favourites with every single firm that I looked at. The odds quoted are shorter than 2/1 in every case, which, for a competition of 38 matches is a very short price. Chelsea and Manchester United are vying for second favouritism with both being offered between 3/1 and 4/1 to win. Tottenham come next at much longer odds of between 8/1 and 10/1, with Arsenal and Liverpool each being quoted between 11/1 and 14/1. Not surprisingly, these are the only six teams given any realistic chance of lifting the title by the bookmakers. Everton are seventh favourites at odds of around 80/1, and then we are in a band of four clubs (along with Leicester, Southampton and Newcastle) being offered at anything between 200/1 and 500/1. The shortest odds I saw for West Ham were 250/1, although if you want to have a fun bet on our team you can shop around and get around 500/1 from a number of firms. Even at those odds, not very realistic! You can get odds of 1000/1 upwards for the remaining nine teams in the league, with the longest prices that I saw being Burnley and Huddersfield at 3000/1. If you believe that we can finish in the top four (we did come fairly close the season before last, after all), the odds vary between 25/1 and 80/1, so once again, shop around if you want to place a bet. The elite six are all quoted at around evens or much shorter for a top four place. The odds on us finishing in the top six are generally around 10/1 to 12/1, although I have seen 20/1 quoted, and if you want to bet on us finishing in the top half of the table (top 10), the odds vary between even money and 6/4. Betway quote odds on finishing top of the Premier League if the “big 7” teams are excluded, of 5/1, and this is perhaps the best bet I’ve seen offered. You can get up to 200/1 on us finishing as the top London club, and up to 500/1 on us topping the Premier League on Christmas Day. Our new signing, Chicarito, is quoted at odds up to 40/1 to finish as the Premier League’s leading goalscorer. For any real pessimists out there (and you do see some on various social media sites) you can get odds of 10/1 on us being relegated, or even up to 50/1 on us finishing at the very bottom of the league! Of course, as all of us long standing West Ham fans know, you never really know what to expect of our team, so betting on them can be a precarious business because of their unpredictability. But if you like a bet on a one-off match, which is my personal preference when betting on West Ham, then you can get up to 12/1 on us winning our opening day fixture at Old Trafford, or 4/1 on a draw. For me, these are value bets in comparison to those on offer for the season as a whole.